Been thinking about something similar recently and then DOC adds some interesting points, Woody too. There’s a few Leinster players who have recently shed weight to improve mobility and are really seeing the benefits, most noticeably Kearney, Healy and Toner. Furlong, Ruddock and SOB I think too. Tracy doesn’t look like your typical converted loosehead. I remember Locky a few years back added a stone because he was covering 2nd row and he credited good form to dropping it again. This extra mobility is needed for our defense. Interesting to see how the game is changing but has had this aspect for a long while. The provinces S&C teams used to hate the state that their players came back from International breaks when EOS was in charge. He and (Liam Hennesey the team doctor?) were of the belief that the Irish backs needed to bulk up and the forwards needed to slim down - so BOD would arrive back at Leinster over the weight Leinster wanted him at, and POC would return to Limerick underweight by Munsters judgement. With the exception of France and South Africa, there's been a real move towards speed, skill, mobility and fitness over sheer mass and bulk in the last 5-6 years. The media report the All Blacks as being fearsome etc, but by modern rugby standards they are of below average size. There's more running rugby at a faster pace, and less kicking and boshing. Good for the long-term health of players and for the game as a spectacle. 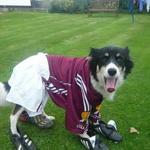 Rennie has made no secret that he wants a certain type of athlete for Glasgow players. He is very specifically looking for smaller, faster, more agile players. Whether it's worked is very debatable. Dave Cahill wrote: The provinces S&C teams used to hate the state that their players came back from International breaks when EOS was in charge. He and (Liam Hennesey the team doctor?) were of the belief that the Irish backs needed to bulk up and the forwards needed to slim down - so BOD would arrive back at Leinster over the weight Leinster wanted him at, and POC would return to Limerick underweight by Munsters judgement. Isn’t that where the 2007 RWC went so badly wrong. Players bulked up in camp and the form of D’Arcy, Stringer, Hickie etc. nosedived. I no scientician but I'm be fairly sure there was a connection between Eddie O'Sullivan's demands post SA tour in 2004 that Irish players needed to bulk up and the hamstring injuries that BOD and Darce suffered from 2005 for a few years. 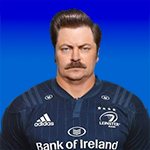 There's definitely been a few noticeable changes in Leinster player's body shapes over the last year. I think if you take this and roll in Lancaster's quotes about playing a certain type of rugby and being 'comfortable in chaos', look at our signings (a SH blindside come second row with excellent handling skills and a magic NZ winger) and then look at the way our younger player's, particularly forwards, use footwork and lines instead of boshy carrying (Tadhg, Conan, Ryan, Molony, VDF, Leavy, Deegan all have fantastic footwork), it's easy to see there's a coherent strategy/credo coming from Leinster. That's nice to see. I know Flash has praised the Andrew's S&C guy in another thread but I was thinking recently how it's pretty phenomenal that Larmour has the pace and agility that he does and yet is still so well built. We've had countless guys come through and struggle to get to their ideal weight so for him to be like that at 20 is amazing. I've always said that that was what messed Conway's development up the most and he probably only found the perfect balance when he was about 25. I think when we showed that we could live with Montpellier we knew that we don’t ever need to bigger than we are now. Occasionally we miss ball carriers when Henshaw isn’t around, but the agility guys are doing a great job. We’re fit enough and agile enough that we’re still making double tackles through double digits of phases.